Who here dreads packing for a trip and realizing that one's options for storing essential beauty products are limited? I mean, you either get lumpy totes, frumpy-looking folding compartments — or, if you're like me, and just can't be bothered with the added stress, you nonchalantly toss your loose products in your carry-on and go, hoping nothing gets lost or worse, explodes inside whilst in transit. It's basically what Donna Summer meant when she sang about cake being left out in the rain. Kind of. Needless to say, the whole ordeal of improperly packing your beauty goods on-the-go is a very sad way to treat the things that help you feel and look your best, and we all deserve better, right? Indeed. David Yi, editor of Very Good Light, a premiere beauty platform for Gen Z and Millennial men, has a solution. Today, in collaboration with Haerfest and Talk To Her, Yi launches a vegan, cruelty-free, crossbody dopp kit bag called SOON. It’s now for sale at Opening Ceremony. "I sat down with Joyce Lee from Talk to Her [a branding consultancy], complaining about how dopp kits are not very aesthetically pleasing," Yi tells PAPER of the project's genesis. "I remember saying to her: 'They're like loaves of bread that sit in your luggage or on your bathroom sink never to see the light of day.' That's when I thought there had to be a better way." 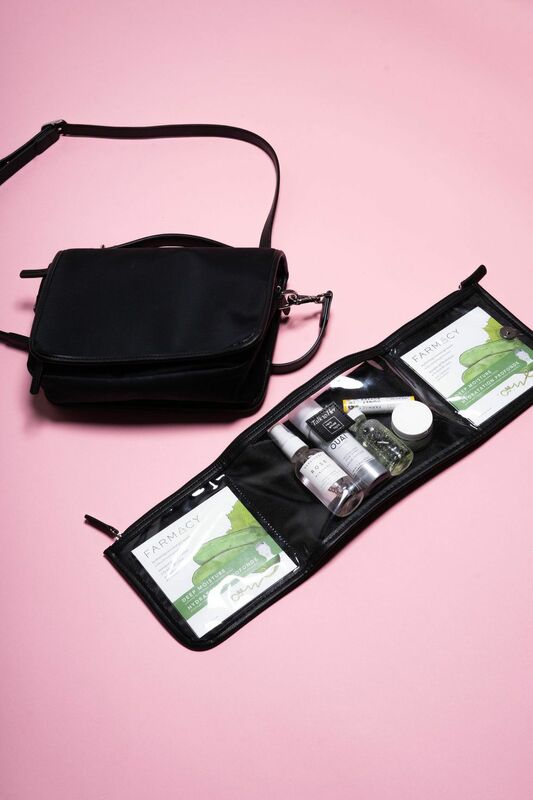 Yi says that each SOON bag contains six curated beauty products that are a starter kit of sorts for customers, from brands including Youth To The People, Farmacy, Ouai, and Herbivore. He also explains the cultural and personal significance on the bag's name. "This project meant so much because we are all Korean Americans and start-ups out to change the world. What's perhaps the coolest part is that this bag is called SOON because of two meanings: in English it means not have arrived, meaning, we're all on this journey to get 'there' together. And we'll get there soon. In Korean, 'soon' means 'pure.' This bag was made with pure intentions as well as pure in terms of have it's vegan and not made from animal by products. Secretly, SOON is also named after my own mother — and this is an ode to her, her inspiration and how her story is all about the journey from there and back." 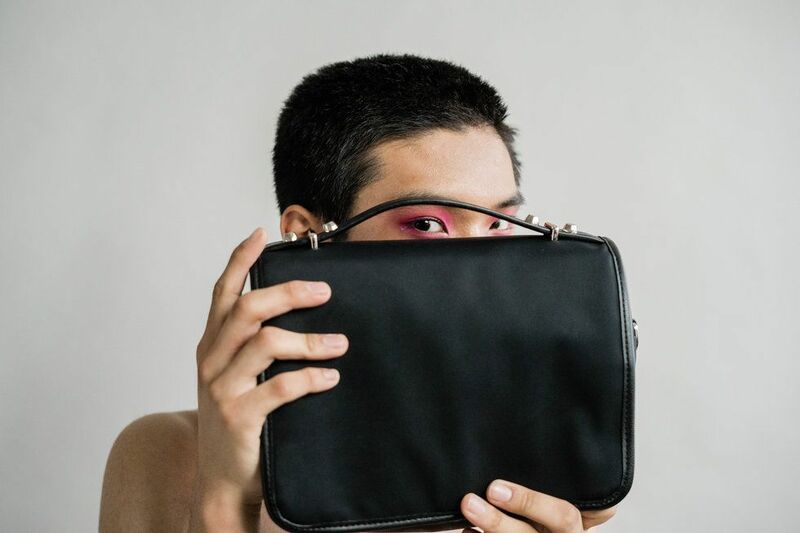 Secure your SOON bags — in hot pink or black — here on Opening Ceremony's website, and see some photos of attractive models posed with them, because this is a beauty story, after all.